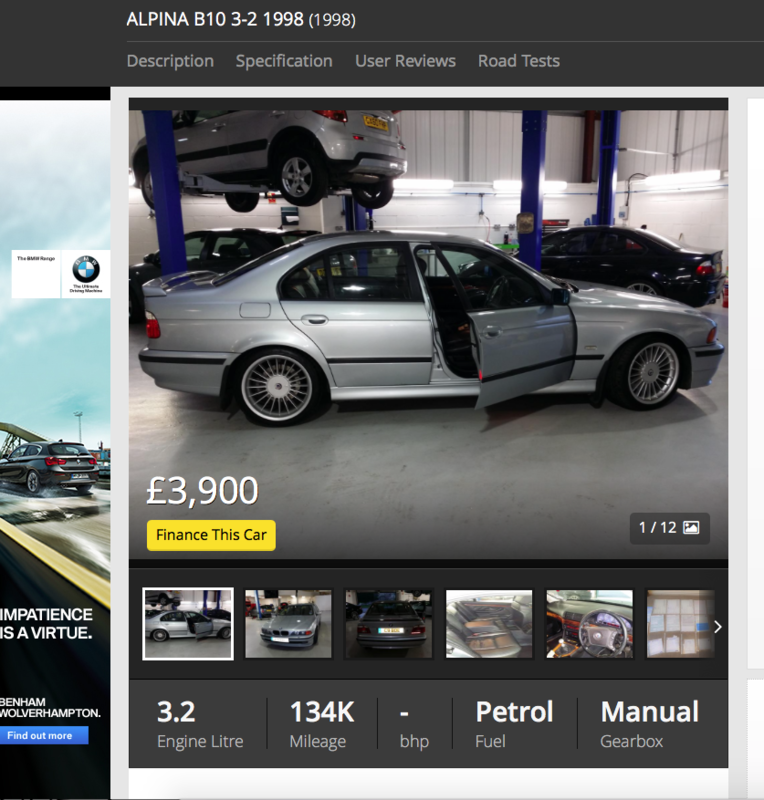 Have you ever stopped to consider just how good we as self-proclaimed petrolheads actually are? We really are living through a golden age of cheap and affordable fast cars, so fast that a scant few decades ago they would’ve been considered bone fide sports and supercars, the kind of models reserved for the rich, famous and successful. 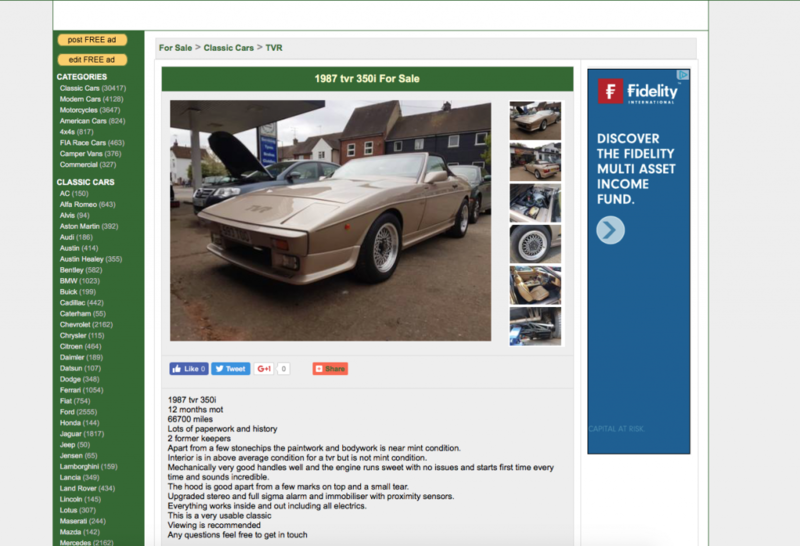 The idea for this blog came to us while scouring the classified for bargains; we were astounded by not just the kind of performance cars for very reasonable sums, but also the choice – variety is very much the spice of life, and if you’ve an open mind and an open wallet, well, the world is your oyster. The good news is that you can get a TVR for our £7000 budget, meaning that it’s possible to own an example of one of the UK’s most beloved car makers, and one famous for its quirky styling and breathless performance. The bad news is that performance is all relative and that our budget doesn’t quite extend to the seriously bonkers stuff like 4.0 V8 Chimeras, which is a shame. Still, 7K gets you a choice of Tasmins including the 350i, the model with Rover’s famous V8 powering the rear wheels which was launched back in 1982. OK so 190bhp might not sound like much in a world dominated by 350bhp hot hatches, but you’ll look far cooler in your seventies-tastic Blackpool wedge. In terms of Wolfrace wheels which would suit this car, well, the world really is your oyster! We’d be tempted to play it safe with some timeless Wolfrace Classics though, as its cross-spoke styling pays homage to the OE fitted alloys. If we’d have compiled this list 5 or so years ago then we’d have found ourselves tripping over 944s in various states of disrepair, but that’s no longer the case. The soaring values of 911s of all shapes and sizes has had a direct impact on the price of other Porsches, the 944 included. 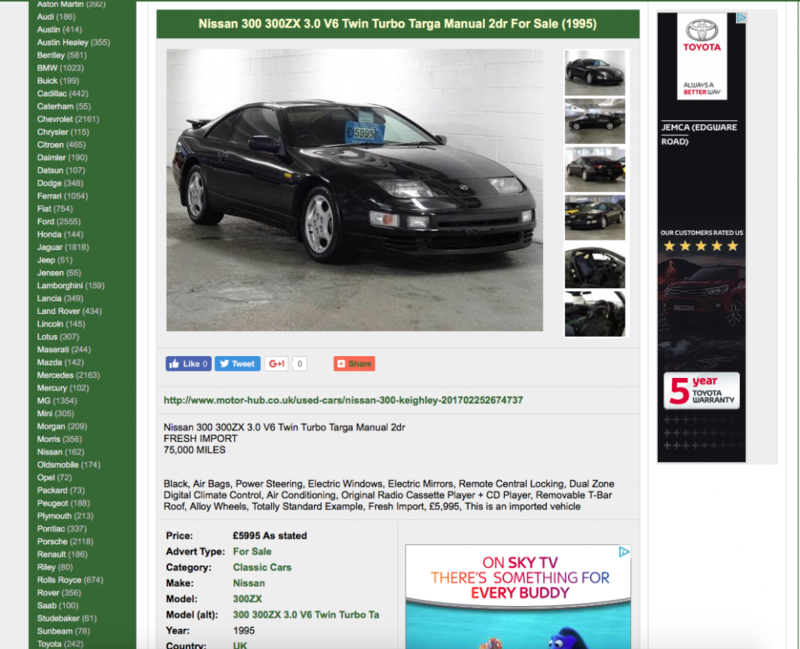 The good news is that there are still sub-7K 944s to be had, you just have to look a little harder to find something worthwhile, and this 1991 S2 looks to be just the ticket. It’s a 3.0 NA car making a handy 211bhp so no, you won’t be humbling 458s and Gallardos, but that’s hardly the point. 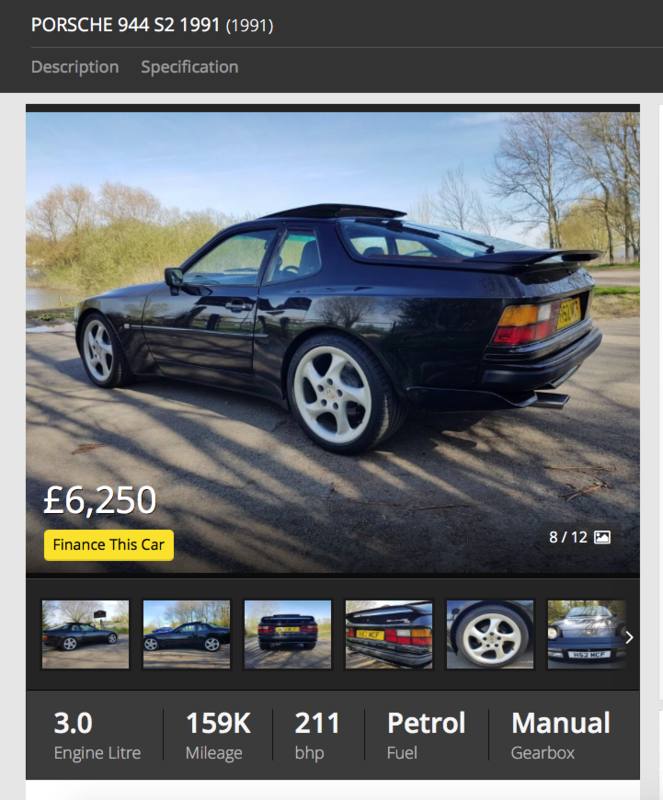 The real news here is that you can get a fabulous looking slice of Stuttgart history (and one likely to soar in value in the not too distant future) for £6,250! Wolfrace wheels to go with this car? Well if the OE ‘twists’ aren’t your cup of tea then maybe something a little more traditional, with the Classic once again being the perfect wheel for the task at hand. Not a Porsche 944 fan? Want something with the engine behind you? 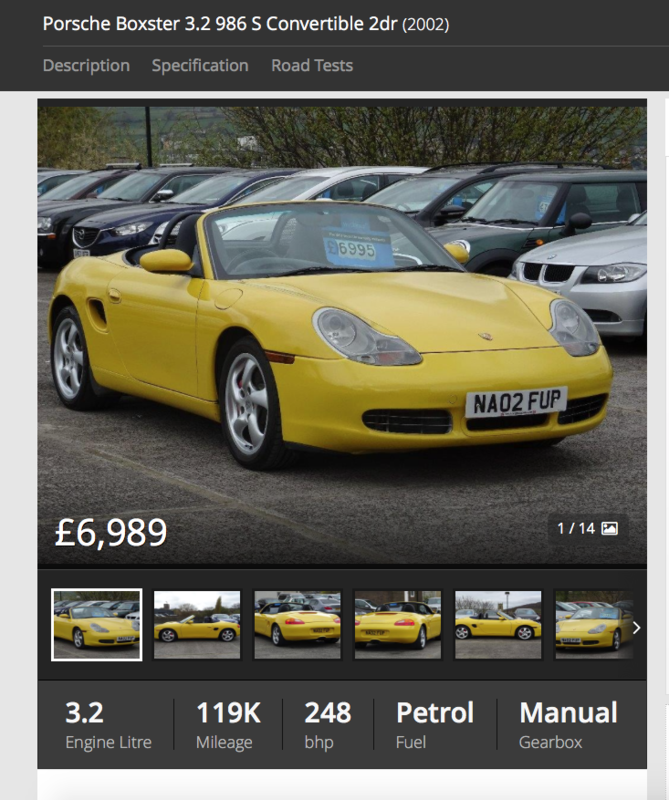 Then step this way, we’ve got just the car for you, the original Porsche Boxster! Forget any preconceived notions about the Boxster being a ‘poor man’s 911’ (partly as it isn’t true, mainly as at this point you don’t have a choice), as this ‘90s performance offering is a wholly capable bit of kit and also comfortably in budget. £7000 gets you a wide selection of Mk1 Boxsters to pick from, but we’ve opted for this 2002 example because of its relatively low mileage, its 248bhp 3.2 engine and the colour, a retina-searing shade of yellow. A more modern Porsche deserves a modern, striking wheel, hence why we’d be tempted to fit the Boxster with some Wolfrace Stuttgarts, a wheel named after Porsche’s stomping ground. A twin-turbo Maserati from the period when the firm couldn’t pay its bills and forced induction was still something of a dark art. What could go wrong..? Love garages? Not seeing eye-to-eye with your other half and want an excuse to get out of the house and onto the hard shoulder of your nearest dual carriageway? 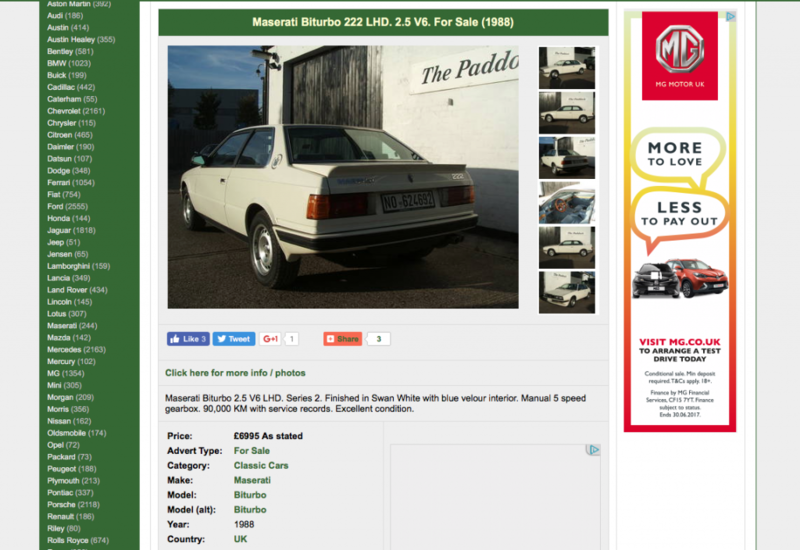 Then you need this Maserati Biturbo, a vision in late ‘80s ‘hearing aid beige’ and with a velour interior seemingly made from crushed and skinned Smurfs! Let’s not beat about the bush here, there’s a lot that could potentially go wrong with a seven grand Maser from an era when the company was broker than Greece, but this one does look to be in good condition and has covered just 90,000km in its 29 years on this earth. Most importantly of all, it’s pushed along by a twin-turbo V6 and comes with a five-speed manual. Compact, old school cars deserve compact, old school wheels, meaning that it’s once again time for the Wolfrace Classic to make an appearance, or possibly an offering from our friends at ATS, the Cup. Sadly, the days of decent sub-10K Skylines have been and gone, so we thought this imported ‘90s Z-Car would suffice instead. What it lacks in traction and ‘PlayStation Generation’ kudos it more than makes up for in road presence and performance. How much performance we hear you ask? A cool 300bhp, a figure which remains more than respectable in the here and now, and a -60 time of 5.5 seconds and a limited top speed of 155mph. It might go wrong and it will cost the proverbial arm and leg when it does, but until then you’ll be sitting pretty in an underappreciated Z-Car. A modern Japanese iconic deserves an equally iconic wheel, the Wolfrace Eurosport JDM! It used to be said that you are either a Mitsubishi Evo person or a Subaru Impreza person and never the twain shall mix, but that’s no longer the case now that both are well on the way toward becoming cult classics in their own right. 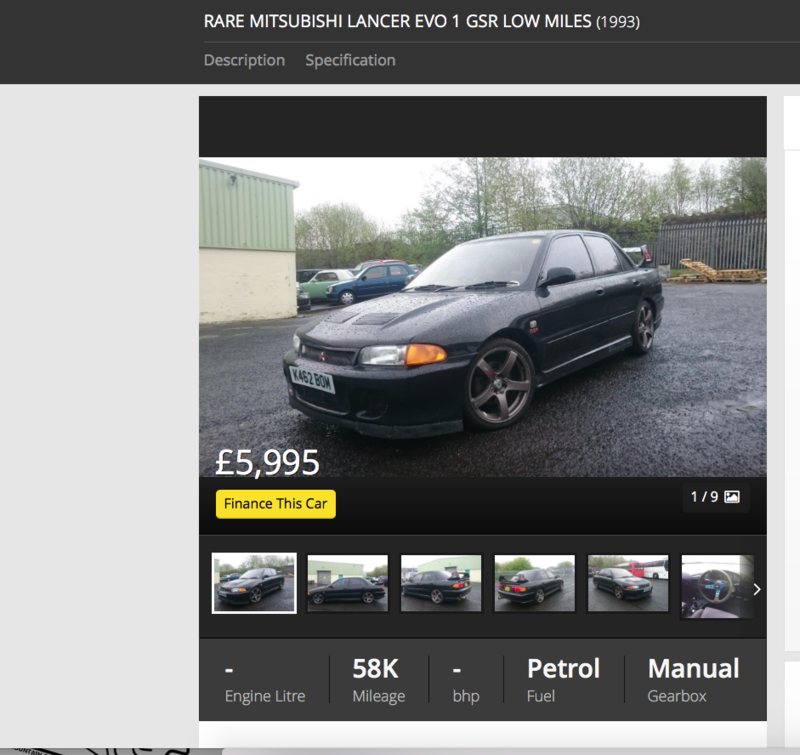 The price of Evos has been rising for years now, and this means that the more recent (and well known) Vs, VIs and VIIs are out of budget, but £7000 still gets you this frankly brilliant Evo II from way, way back in 1993. It probably won’t seem stratospherically quick by modern standards but that doesn’t matter, not when you can pretend to be Tommi Makkinen on your way to work! It’s another cult classic car from the land of the rising son and one therefore ideally suited to the Wolfrace Eurosport JDM. Is there a finer car to waft around in than a V12 powered Jaaaaag? Another car for those who’ve overdosed on bravery pills, this Jaaaaaag XJS hails from the era of patchy reliability and interiors with enough leather to make a big game hunter wince! The good news is that it’s covered a mere 65,000 miles from new (way back in 1985), boasts a long MOT and has been treated to a host of mechanical and bodywork renovations over the years. It also sports a V12, an engine known for drinking heavily and sounding sensational. 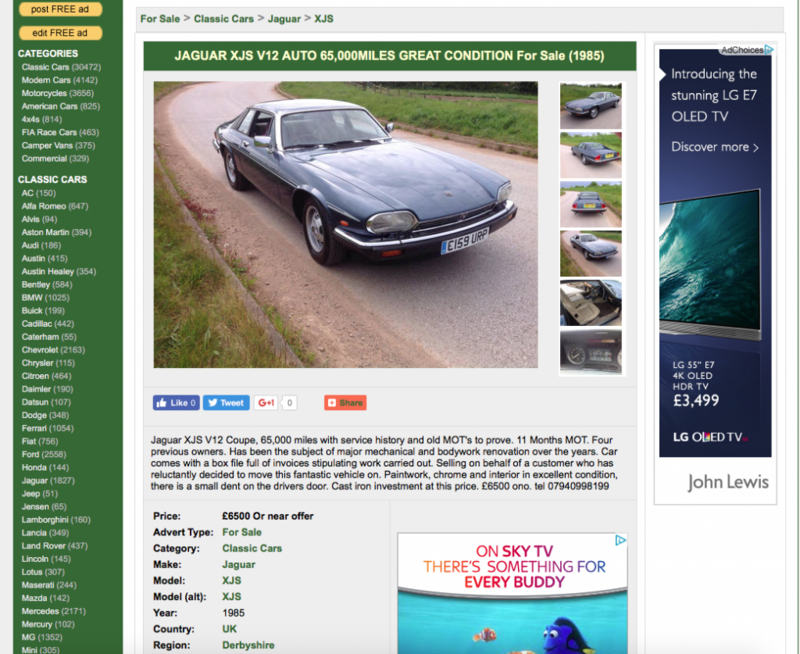 You take the rough with the smooth when it comes to old Jag ownership, so this will likely be one of the best automotive moves ever make, or it’ll reduce you to tears of frustration within weeks. Your move. Old school Jags demand small, dishy wheels and this makes either the Classic or the Cup the clear choice for this application. 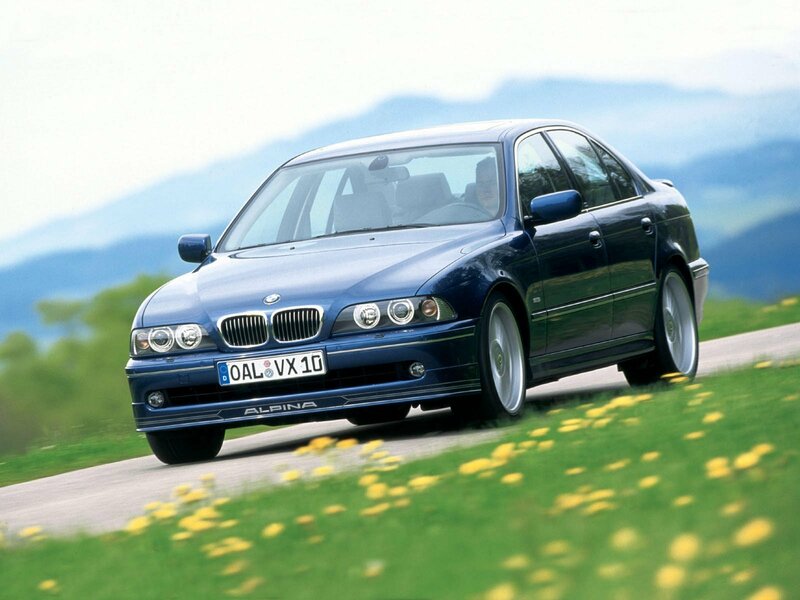 Our self-imposed budget actually gets us a choice of any number of Munich legends, including the odd V8 7-Series and even a tasty looking E30 track car, but we’ve opted to include this e39 5-Series, mainly as it’s been breathed on by Alpina. Called the B10, Alpina used BMW’s own 2.8 straight six as a basis for this model, before adding lightweight Mahle pistons, a ported and polished cylinder head, re-mapped ECU and also increasing the displacement to 3.2L. This resulted in a car capable of 260bhp, all of it delivered in silky smooth naturally aspirated fashion. This example has even been treated to a brand new BMW diff and front suspension, making it the ideal introduction into the wonderful world of Alpina. The Alpina’s BMW roots mean that there’s one clear Wolfrace wheel for this particular application, the Munich. This 155 is perfect for budding BTCC racers, just make sure you don’t roll it like Tarquini did at Knockhill! Depending on your age and level of interest, the 1990s was either a decade of slightly dodgy fashion and music, or one which gave us some of the finest touring car racing the world has ever seen. The British Touring Car Championship was especially brilliant at this time, no more so than in 1994, the year when Alfa Romeo turned up with its be-winged 155s and promptly wiped the floor with the competition. While this particular 155 isn’t the same as the one used to such good effect by Tarquini and co back 23 years ago, it is still a tasty bit of kit. The 2.0 16v Twin Spark was a lively, thoroughly engaging motor in its day and will no doubt surprise in 2017, while we think the 155’s looks have aged incredibly well. 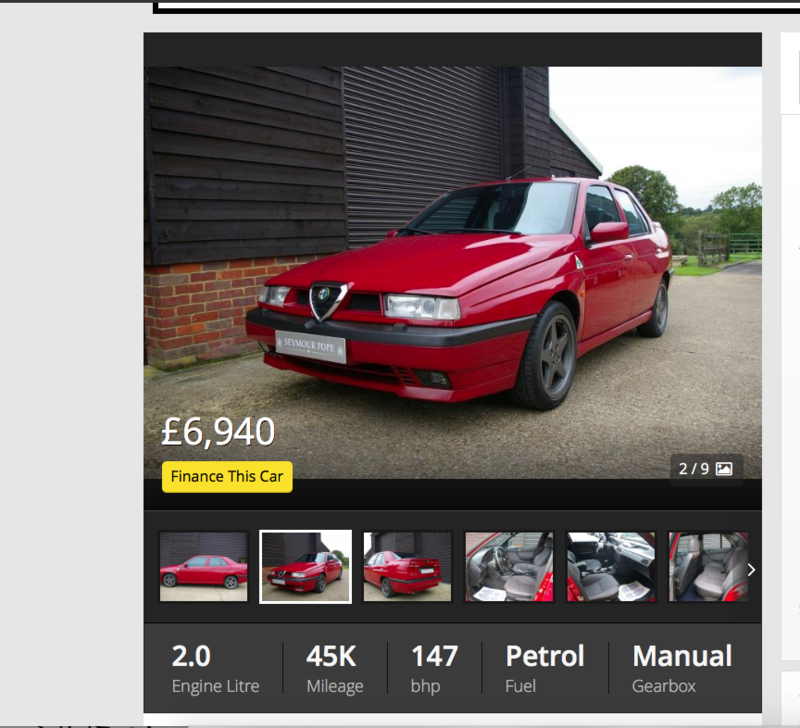 It’s another of those cars which is all but certain to shoot up in value in the coming years. 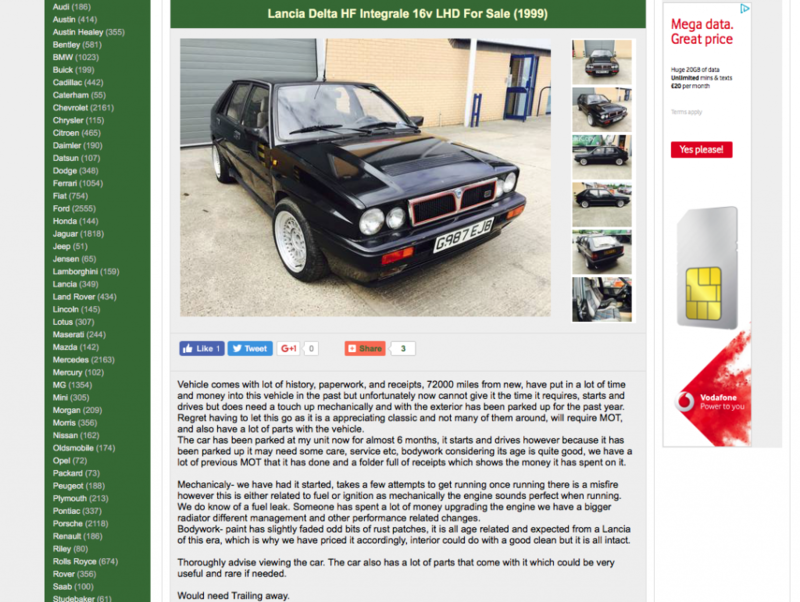 There’s no shortage of suitable wheels for this Alfa within the Wolfrace range, but we’ve plumped for the appropriately named Milano and its simple, multi-spoke styling. The V12 Jaguar up there too safe for you? Tired with conventional internal combustion engines which use oil at a normal rate? 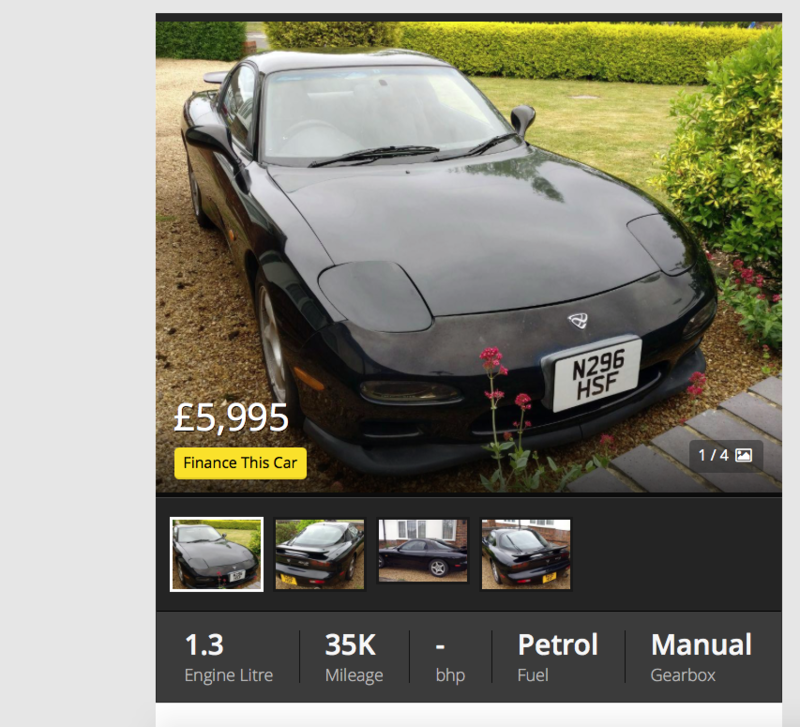 Then step right this way, we’ve got a Mazda RX-7 with your name on it! Easily one of the best Japanese performance cars of the ‘90s, the FD was the last Mazda to wear the iconic RX-7 badge and has therefore begun to climb in value, so much so that there’s only the one example within our budget. It looks to be a decent car (it’s even a Bathurst special edition so should come with adjustable dampers) and well worth taking a punt on, particularly if you’re a lover of the utterly bonkers, famously thirsty rotary engine. While there’s no denying that the JDM is more than suited for Mazda’s ’90s Porsche baiter, we feel that this is also the ideal application for the Wolfrace Kibo. Small and dished is the way to go for the Delta, meaning it’s once again time for the ATS Cup to get a mention.